Whip up a colorful and sweet snack that jiggles when you giggle! Jelly is a fun and flavorful treat that comes in tons of colors and flavors, make your own here, now! Follow the ingame instructions. 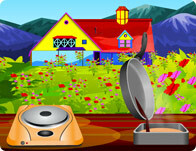 Click on the floating food and kitchen items to prepare, set and serve a simple but sweet snack!